Grand Prairie lawyer, Jack Byno, posts bonds on traffic warrants in order to remove them from the Statewide Warrant Roundup. Jack Byno & Associates is a traffic ticket law firm that has represented clients with speeding tickets and other traffic violations since 1994. If you have a traffic warrant in Grand Prairie, Texas, our experienced lawyers can get your traffic warrants lifted and appear in court to plead your case. For more information about the Dallas County Warrant Roundup contact me. More about Grand Prairie traffic tickets. Has Your Grand Prairie Speeding Ticket Gone To Warrant? Grand Prairie has two major Interstate Highways running through it, I20 and I30. The Grand Prairie Police Department seems to love pulling people over on them for speeding. 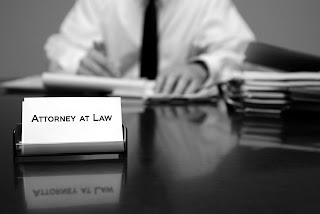 If you have received a speeding ticket and you retain our firm to represent you, in most cases, we can get you a deferred disposition or "probation." So long as you qualify for the probation and complete it without incident, the traffic ticket will not appear on your driving record. If your speeding ticket has gone to warrant, we can still help you, but you need to contact our attorneys before you get arrested during the Grand Prairie Warrant Roundup. Every traffic court, including the Grand Prairie Municipal Court, has an interest in clearing its warrants. The court issues warrants for those people that have received a traffic ticket and have failed to appear in court. In Dallas County, people are arrested every day for outstanding Grand Prairie warrants. However, this time of year, police officials from across the State make a coordinated effort to arrest people during the Great Texas Warrant Roundup. If you are reading this, I am assuming, you want to contact a lawyer about your warrants. We are available during normal business hours Monday - Friday, but you can complete one of our intake forms online and we contact you, as quickly as possible. The Grand Prairie Warrant Roundup is approaching. The City of Grand Prairie Police actively looks to arrest you if you have a traffic warrant. The lawyers of Jack Byno & Associates can post bond and lift your traffic warrants so your name will be removed from the wanted lists. Contact us to discuss how we can assist you with your Dallas County traffic tickets.